A native of New Jersey, Dr. Michael Wong was accepted into Albany Medical College out of high school. After completing an ophthalmology residency at Wills Eye Hospital in 1982, he has never wavered in his interest in research and the practice of ophthalmology. Because of his seminal work in cataract and laser surgery, he was accorded the Innovators Award by the New Jersey Inventors Hall of Fame. This award draws from all fields and honors only four scientists each year. Dr. Wong is the first clinical physician to be honored in this manner. His innovation, colloquially called the “Wong Way,” has achieved international recognition for making cataract surgery safer. 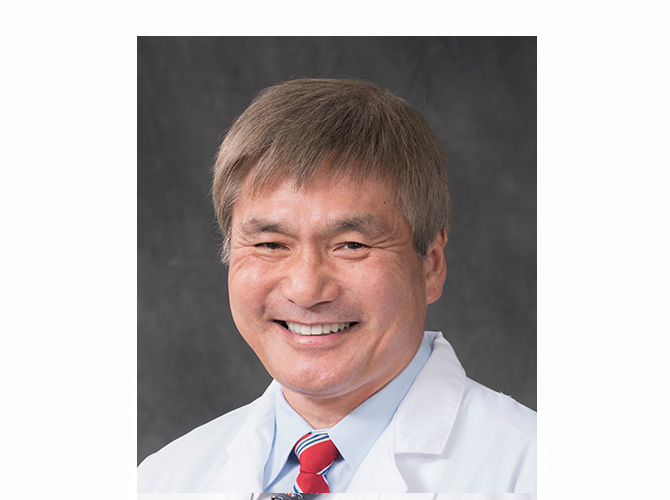 Dr. Wong’s research has put him in the forefront in developing the “advanced technology intra-ocular lenses” which treat age-related near vision loss (the ReSTOR IOL) and astigmatism (the toric IOL). He is one of only eight “mentors” country-wide tasked to set standards of care and teach other eye surgeons the nuances of this new technology. Dr. Wong also pioneered Lasik surgery in New Jersey, and as part of the Refractive Leadership Council, is one of an invited panel of 30 leading surgeons in the world analyzing the revolutionary technology surrounding Lasik and pushing forward the state-of-the-art. In his mind, the highest recognition ever bestowed upon him is the Distinguished Physicians Humanitarian Award by the University Hospital of Princeton for his Doctors Without Borders work for the poor in Africa, Peru and Paraguay, in addition to generously contributing to local indigent care. This work was highlighted on WABC-TV of New York. Named to the Ocular Surgery News Premier Surgeon 300 list as a leading innovator in the field of premium refractive surgery. Selected as a Top Ophthalmologist by the International Association of Ophthalmologists (IAO), recognizing physicians that have demonstrated success and leadership in their profession. Named a 2016 Jersey Choice Top Doctor in New Jersey Monthly’s annual survey of New Jersey doctors. This list was compiled by New Jersey Monthly by asking the state’s practicing physicians who they would send a loved one to, and results were reviewed for completeness by a panel of doctors.